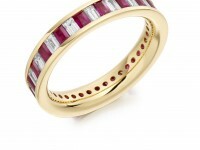 “Strawberry” is a stunning ruby and diamond eternity ring. This beautiful ring is made up of emerald cut rubies and emerald cut diamonds and is channel set in yellow gold. 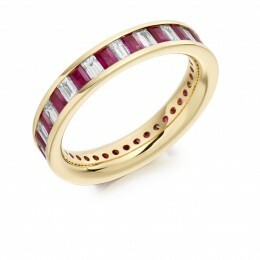 This ring is also available in white gold/platinum and rose gold.